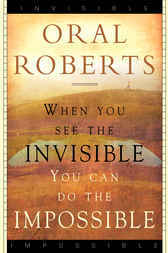 Everything done by Dr. Roberts has the personal touch of his great love and care for God's people. Now, in the sunset of a life that has touched millions around the world, he passionately reveals the truths that have altered his life and awakened the church. From the presence of the invisible God, he brings to you the hidden keys that will unlock God's power as it releases His compassion.